Tribute to Albrecht Dürer's "Young Hare"
The giant plastic sculpture of Dürer's "Young Hare"
during the exhibition "Dürer, Michelangelo, Rubens"
"The large-scale presentation unites the highlights of the collection, from Michelangelo through Rembrandt and Rubens to Caspar David Friedrich. 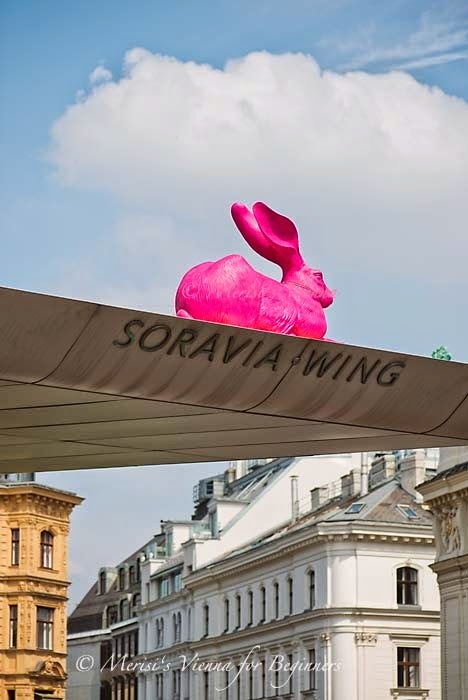 The centrepiece of the Albertina, Dürer's famous "Young Hare", is now once again accessible to an interested public in the context of this exhibit after a decade-long period of grace"
I love bunnies/hares and this one is definitely an attention grabber. Great photos!! what a perfect (and very amusing) capture! Ah, I love that pink bunny!! What a fun post for the day, Merisi!! Thanks for the giggles to start my day!!! I hope you have a beautiful weekend!! Great one for Sky Watch! Amusing indeed, and that's quite a striking jacket the young lady's wearing. Brilliant pink bunny but I also loved the jacket your lady friend was wearing. 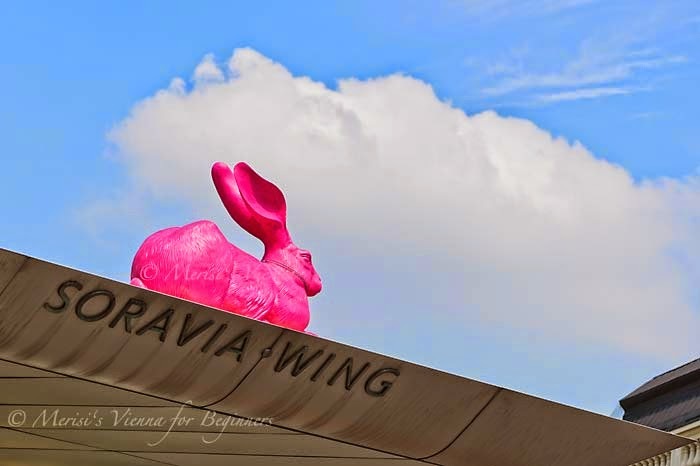 What arresting photos, the pink rabbit certainly makes an impression. And I love the coat!